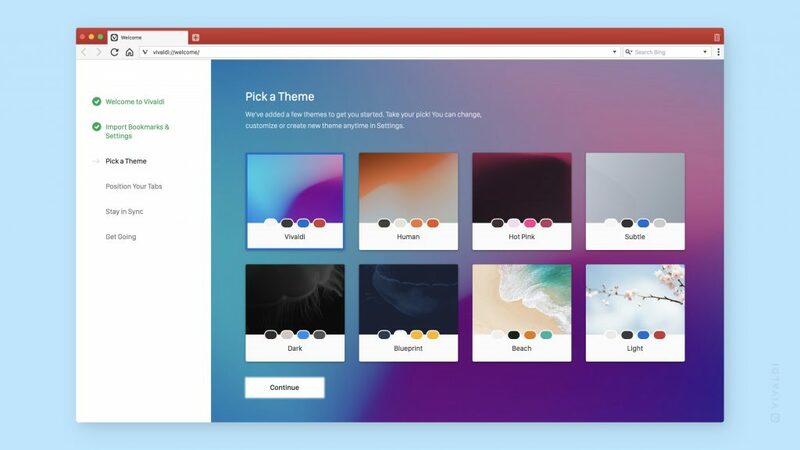 Vivaldi has just announced a new version of their existing browser. We know that most users are not aware of the name “Vivaldi”. Vivaldi was founded by Jon von Tetzchner who has also worked for Opera. The major concern of the brand Vivaldi is to make a browser that a general user desires of. 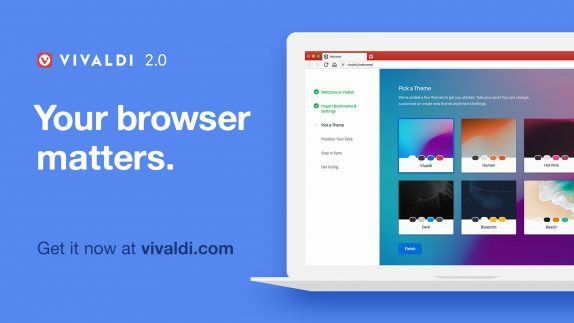 Their new Vivaldi 2.0 browser is a step closer to that goal and provides a ton of new features. So without making any delay let’s know more about it. The new Vivaldi browser 2.0 brings features like sleek user interface, private, and secure syncing across computers, smart browsing tools, revamped themes and more. With the update 2.0, the customization has been reached to a different level. One can now easily position the taskbar vertically, display address bar at the bottom, reader view, etc. There is also a feature called as an adaptive theme which allows a change in color tone when browsing through different pages and websites. Vivaldi browser can now sync data seamlessly between multiple machines including bookmarks, speed dials, saved passwords, autofill information, history, etc. Every flake of data is end-to-end encrypted for security purposes. It now allows a user to a group, rename, search in addition to tag, pin, drag, hibernate, mute tabs if needed. A new list view has been added to the Tab Cycler, here user can view and change the open tabs. Other major features include a built-in screenshot option, markdown websites, image property tool, etc. The browser can be downloaded through Vivaldi.com, for more updates stay tuned to Installornot.